The priority to produce quality products that meet and exceed market needs, the priority to deliver excellent customer service, and the priority to run overall operations effectively and efficiently is what makes business organizations perform at their best. But what does it take to get to that level of performance? 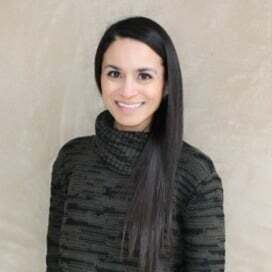 As a business process consultant and green belt lean six sigma certified; I have worked with business organizations to establish process plans and key business processes that lead to improvement and an effective knowledge management system. 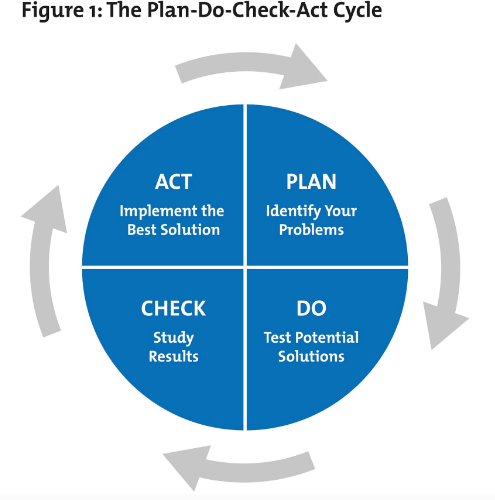 One of my preferred tools for process improvement is Plan – Do – Check – Act (also known as PDCA). What is the Plan-Do-Check-Act Model? The Plan-Do-Check-Act model is a methodology used to analyze, identify and implement solutions to an existing problem that causes organizations to decline in performance in a particular area. Plan: One of the most important projects within any business is to identify key business processes that will produce a desired outcome. Having an understanding of key business processes required to run the business and increase performance sets the foundation for process improvement. Once the foundation is set and key processes are in place, it should be easy to understand and identify problems within a process and create a suitable process plan to deal with it. Do: Key business processes require constant evaluation in order to eliminate deficiencies and maximize performance. It is necessary for business organizations to understand the problem and analyze the root cause in order to develop a process plan of action to resolve systemic issues and improve the process. Testing is part of the “Do” phase in order to find effective solutions to the process issue. Check: The effectiveness of key processes depend on the effectiveness of the process plans put in place to improve. Without following-up on the effectiveness of corrective actions and results, it will be nearly impossible to determine process capabilities and improvements. Measuring, monitoring and evaluating process results will help decision makers establish the best possible solution for improvement. Act: Adjust the process by incorporating corrective actions. This step allows business organizations to share best practice, share lessons learned, and re-deploy new processes with the workforce. Process improvement and continuous improvement is a commitment, not just a one-time event. Commitment is required not only from the process owners, but also from the leadership. The Plan-Do-Check-Act model is a cycle, which helps business organizations strive for performance excellence and continuous learning. Now that you understand the potential impact of a Plan-Do-Check-Act model and how it can help improve business efficiency, I encourage you to look at the Business Improvement E-book which chronicles how 8 organisations came up with a process plan and used a BPM System (along with the Plan-Do-Check-Act model) to come up with a process plan and implement continual improvement in their business.